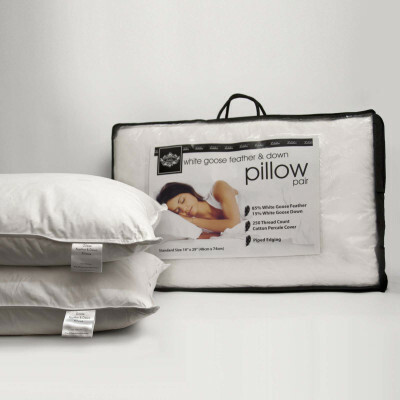 Designed to offer tremendous support to your head and neck, this Goose Feather 15% Down Standard Pair of Pillows can ease your sleeping woes. 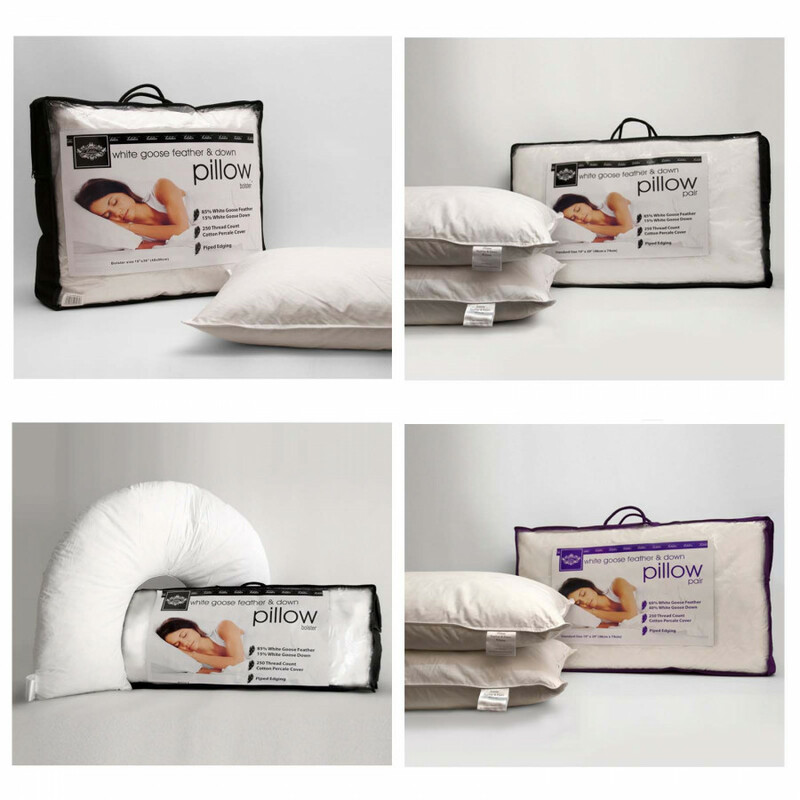 The pillow has a cover of thread count 230 that adds to its soft appeal and texture. These pair of pillows is filled with 15% down and is extremely fluffy to grant you tranquil sleep. Handy and durable, our pair of pillows is available in 19" x 29" that will surely meet your needs. Machine washable at 40°C and also tumbled dried.